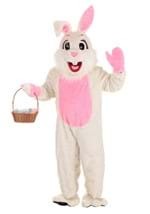 Easter baskets will be filled and children will be smiling when you go in this adult Easter Bunny costume! 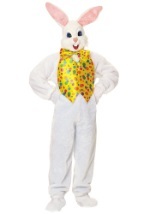 This bunny costume includes: a jumpsuit, hood, vest, bow tie, mitts, and spats. The furry white jumpsuit zips up the back. A white bunny tail is also attached at the back of the jumpsuit. The white mittens have a furry top while the palm is plain cloth. 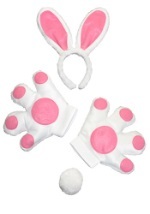 The mittens have elastic at the wrist to keep them in place. 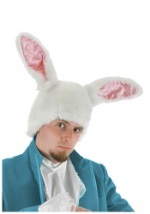 Also included is a furry white hood. 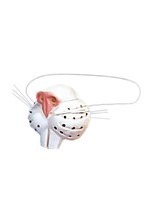 The white hood Velcros closed under the chin, and there is an opening for the face. 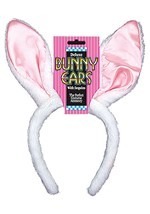 At the top of the hood are two movable bunny ears that have pink along the inside. A foam yellow vest ties around the neck and at the back. The vest has big red and blue polka dots. The matching giant yellow bow tie has an elastic band that goes around the neck. The foam bow tie has red and blue polka dots on it. 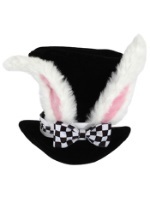 Get ready to hop down the bunny trail with the included furry white shoe spats. The spats have elastic around the ankle and an elastic band underneath to keep the in place under shoes. 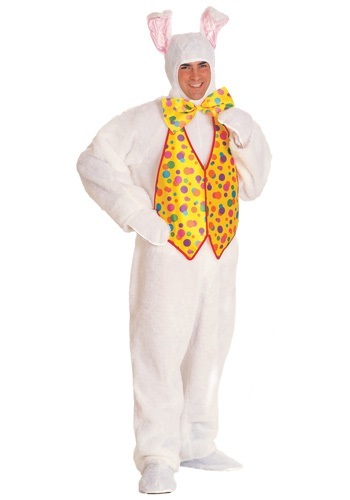 Go ahead and start planning your Easter Egg Hunt this season when you go in this adult Easter bunny costume!